Purpose: To assess the effect of dry eye disease (DED) on regulatory IL-10- producing Th17 cell population. Methods: DED was induced in female C57BL/6 mice. mRNA and protein expression levels of IL-17 and IL-23 were analyzed in the conjunctivae and draining lymph nodes (DLNs) of mice 14 and 28 days after DED induction using real-time PCR and ELISA, respectively. 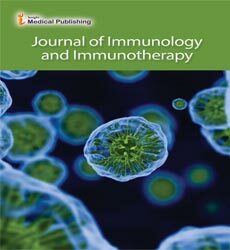 The frequencies of IL-17-producing Th17 (IL-17+CD4+) cells and IL-10-producing Th17 (IL-10+IL-17+CD4+) cells were determined in the conjunctivae and DLNs of DED mice on days 14 and 28 using flow cytometry analysis. Results: DED induction significantly upregulated the expression of IL-17 and IL-23 at the ocular surface and draining lymph nodes at day 14. Frequencies of IL-17 producing Th17 cells significantly increased in mice with acute DED, and returned to near normal levels with disease resolution. These changes were accompanied by a significant decrease in frequencies of IL-10-producing Th17 cells in acute DED, and their restoration to baseline levels with resolution of DED. Conclusions: Decreased frequencies of IL-10-producing Th17 cells concomitant with increased effector Th17 cell frequencies and IL-17 and IL-23 cytokine levels contribute to DED pathogenesis.